This is a wireless signal repeater for use with the Safeguard Supply series of LRA long range entrance alert products. Simply place this repeater between your transmitter and receiver, turn it on, and you can extend the range of your kit up 1,000 ft. 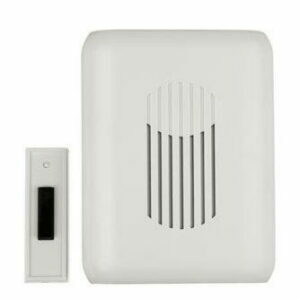 The LRA-RPX is a relay/extender that can increase the range of your LRA wireless alert system up to an additional 1,000 ft. The LRA system has a line-of-site range of up to 1,000 ft. Environmental factors will cut down on this range which means in a real world environment, wall materials, terrain, and other factors that cause interference will diminish the effective range of any wireless kit. This product will add up an additional 1,000 ft. to the system by taking in the wireless signal, amplifying it, and sending it back out. Simply place the LRA-RPX between (preferably centrally located) the transmitter and the receiver. All you need to do is turn the relay on and it does the work for you, no set up is required.